Managing an association is a huge undertaking, and with responsibility of this magnitude comes the pressure to perform. When you are under pressure, your stress levels are high, and the challenges of association management and association consulting are very demanding, making it even more toilsome. If you are managing an association, you will be familiar with the pressures of continuously trying to operate more effectively and efficiently. So, how do you beat the stress of association management? How do you perform at your best without feeling the strain? The truth is, feeling stressed is inevitable when you are burdened with great responsibility but there are ways you can lighten the load. To get through the lengthy tasks that you keep putting off in order to deal with your more immediate, “urgent” tasks, try the method of time blocking. You need to assign a morning or afternoon, at least once a week to complete these tasks. Doing things like paperwork or books. Keep this period free from all your usual daily tasks – no meetings or phone calls. This gives you the opportunity to catch up on the things you know are imperative but just do not seem to be getting done. When there are tasks you keep putting off, they tend to cause intense stress. When these tasks build up, the stress of them can become crippling. So, take half a day, once a week and ensure you get them done. One of the primary ways to sabotage your physical and emotional health is through interpersonal conflict. When we are stressed, we tend to take it out on the people closest to us. So, when at work, the closest people to us are our co-workers. When conflict is built up between you and your co-workers or team, it is tricky to elude. Our advice is to try and avoid it completely. You can achieve this by dealing with things calmly. As a manager, it is part of your responsibility to keep a steady ship. If you feel like you may burst, take a breather and go for a walk around the block. A big part of association management is to be cool and calm in your approach. One of the most effective ways to avoid stress is by staying ahead with a detailed plan. This way you stay organised. When we are unorganised, we immediately feel overwhelmed. This is when the stress kicks in. If you are well-organised, you will find there will be less of those panic-stricken situations throughout your day or week. You will also gain a new sense of empowerment because when we are organised, and something goes wrong, we tend to feel more excited as opposed to stressed, knowing that we have anticipated a similar situation. Organising your time, as in using project management applications to plan weekly tasks will have a positive impact on your life, leading to much less stress. Delegation improves efficiency and productivity and promotes enthusiasm, origination, cooperation and innovation—all of which are vital to an association. At Congrex, expert association consulting is what defines us. We offer associations and non-profits a range of planning, support, and consulting services. Through our collective experience and by delivering meticulous work, we help portray your association as an adaptable, leading-edge and forward-looking organisation. Through delegation, you will not only decrease your stress levels but those of your team members too, boosting morale as a result. When we manage our time poorly, we end up running late for meetings, or missing deadlines and this leads directly to stress. To combat stress, make punctuality a habit. When you run late, not only do you stress yourself out, but you stress out all other individuals involved, be it the people you are meeting with, or the client whose project you are late with. To combat this, ensure you have given yourself enough time in-between meetings. In addition, be sure to give yourself and your team enough time to deliver promptly. 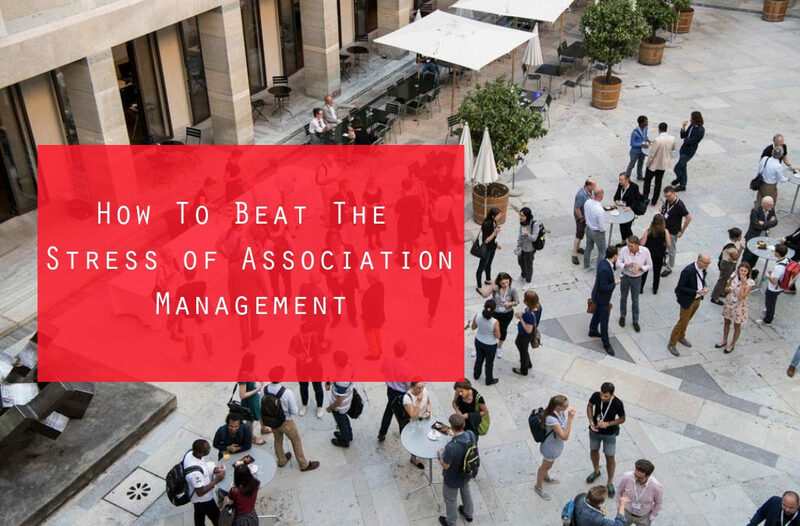 If you are looking to reduce the stress caused by association management by delegating some of your tasks to an association consulting agency, then get in touch with us today.